Son of P. Vaile of 10 Ormonde Terrace, London. Brother to I.B. Vaile (Ch. 1904-06) and Edward E Vaile (Ch. 1905-07). A donation to the memorial statue has been made in honour of this soldier by Joe Carr-Hill. Philip Amyas Vaile was the third son of Mr. and Mrs. Philip Vaile, 10 Ormonde Terrace, Regent's Park. On leaving the O.T.C. he joined the H.A.C. at the age of 17, and went out with his regiment in September, 1914. He was slightly wounded in the Battle of Hooge, and accidentally burnt later on. He left the hospital at Etaples with his Commission on September 25th, 1915, and while in London last October had the news that his brother Second Lieutenant E.E. Vaile Worcestershire Regiment, had been killed in action. He went out again to the Front in June. He as again wounded on July 21st, but after ten days rejoined his Regiment. On October 12th he wrote stating that he had been given a new appointment in consideration of his having served at the Front longer than anyone in his Regiment. The circumstances of the fatality are thus described by the Commandant of the C.T. School at Havre:- "Your son was taking a class in live bomb-throwing, and was instructing each man in the art of throwing, and standing close to each as he threw. Those who were near by say that a bomb suddenly went off almost on the instant of leaving the man's hand. Your son was struck in the head and heart, and fell at once. One other man was killed, and two were wounded. Your son had only been with us for a few days, but I saw at once that he was an officer of great ability, with a thorough knowledge of his subject, and very keen; and I was congratulating myself on obtaining an instructor of such obvious efficiency." Philip Amyas Vaile was born in July 1894 in Marylebone, London. His French father, Phillipe, and mother, Amy, lived with their three sons and three servants in 10 Ormonde Terrace, Regents Park. It is unclear what his father’s profession was, or indeed why he had settled in England, but the family was clearly prosperous as Regent’s Park was then, as now, a prestigious address. Philip Vaile became a pupil at Brighton College in 1907 and was a member of Chichester House. 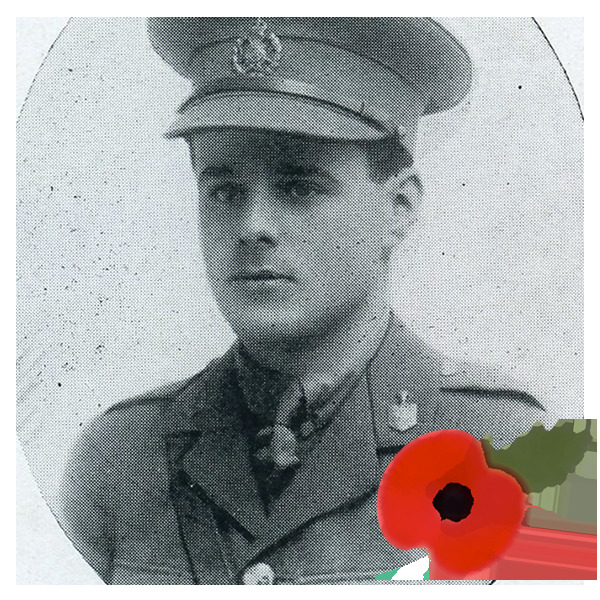 After leaving school his profession is unknown but he clearly had an interest in soldiering because he joined the Honourable Artillery Company which was then, as now, a territorial regiment staffed mainly by City professionals and based near Liverpool Street in London. As might be expected he did not actually stay in the Honourable Artillery Company when war broke out but, having been commissioned as a 2nd Lieutenant, served in the London Regiment. However, in 1916 he was posted for a while to the Central School in Le Havre in 1916. The Central School was one of many establishments across Northern France intended to improve the quality of newly arrived troops in situ through contact with serving personnel. A posting to such a school a fair distance behind the lines must have seemed to an officer like Philip Vaile a welcome and relatively safe respite from the hardships and dangers of the trenches. However while he was training a contingent of Canadian troops Phillip Vaile was killed when a grenade exploded prematurely, a very unfortunate accident in what should have been a relatively safe place to spend the war. The tragedy for his family was compounded by the fact that his elder brother Edward had been killed the previous year while serving with the Worcestershire Regiment.